Did you know that 70 per cent of all freight moved in the US is shipped by truck? 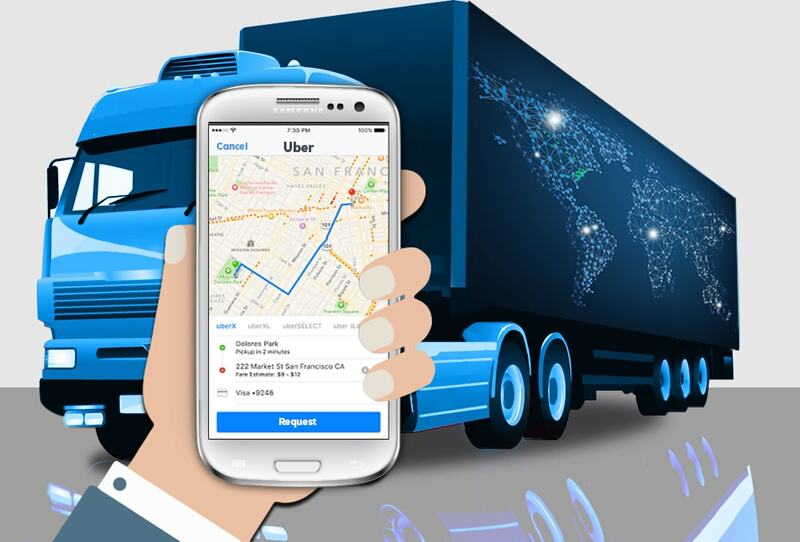 A trend that will surely benefit and affect the customers, freight companies and back office offshoring solutions is the appearance of “Uber-like” apps, which take freight and shipping to an exciting next level. The amount transported by truck reaches an eye-popping 10 billion tons each year, according to the American Trucking Associations. At present, several mobile applications are looking to alter the freight industry. By replacing the traditional middleman linking truckers to shippers and vice versa, the apps are shaping up to be as disruptive to the trucking industry as Uber was for taxis. One of these apps is Cargomatic, launched in 2014 and Convoy, a startup launched in 2015. Both companies use the similarities of their apps to Uber in their marketing materials. The new technology is further evidence of a trend of on-demand transactions in shipper-carrier business dealings. In a world of one-click overnight and even same-day deliveries, companies gain competitive traction when they can move goods the fastest. In this era of mobile apps, GPS navigation, back office offshoring services and the cloud, brokers have become an antiquated and costly way of arranging shipments. Anything that makes the middle work faster, more efficiently and transparently saves money at both ends. The apps are designed to connect a shipper with a truck carrier to schedule transport at a competitive price. Any type of shipper – from movers of small packages to those who transport a full container of goods – can take advantage of the technology. Like an Uber driver, the algorithm-selected carrier can accept or decline the options provided by the app. If it consents, it then uses the app to assign the job to a driver. For shippers, there’s no need to wait, haggle over price, or manage paperwork. In due time, these apps have the potential to transform the trucking industry into one in which larger players emerge. The new apps may also provide other benefits to society and the environment as well. When freight shipments are booked more efficiently, a truck is on the road less often. Rather than driving back from a job with an empty container, the driver can fill the hold with freight when it returns, thus reducing traffic congestion, vehicle exhaust emissions, and the risk of automotive accidents. Since their respective launches, the dominance of Convoy and Cargomatic testifies the growing need for this technology. Cargomatic launched its app initially in Los Angeles and has since rolled it out into the New York tri-state region and the San Francisco Bay area. Recently, it raised $8 million to expand its platform. From that moment on, competition is continuously growing. In fact, seven companies raised $63.25 million last year, sources say. In the long run, we need to accept the fact that shippers and carriers are realizing where the industry is headed and the old ways of doing things no longer make sense.